Along with the tedium of packing and hauling couches, moving is stressful, but it’s also an exciting ordeal for humans. A new neighborhood– a fabulous new apartment with friendly concierge staff, new restaurants, yoga studio, spin classes or an awesome gym. For a dog, it’s utterly stressful because we have no idea why you’re shoving things into boxes. Take it from me, a 6 year old St Bernard that’s a veteran of moving. 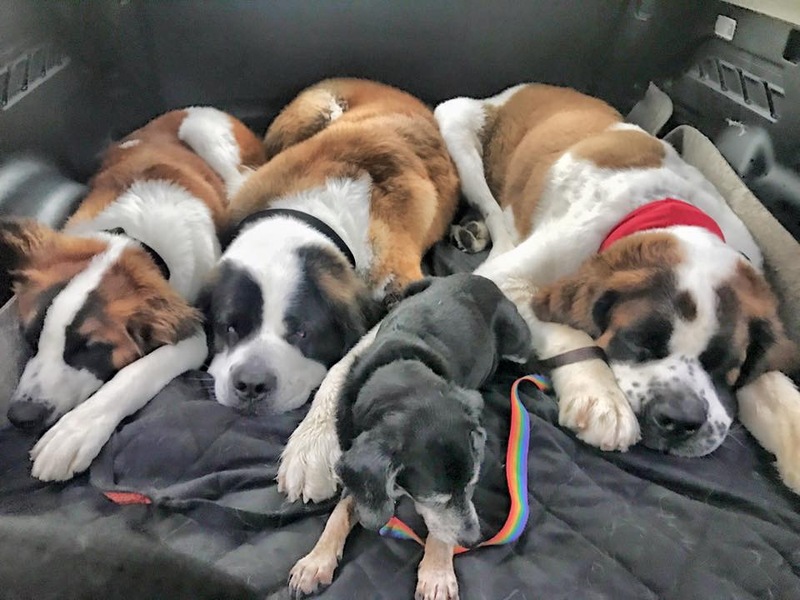 I live with two St Bernard brothers, a 16 year old mutt and a three legged cat. For four legged creatures like us, our existence is defined by our “territory’– where we eat, play, pee and most of all, to protect. So when the boxes start stacking and our beds are packed, when our stinky tennis balls are missing, our favorite toilet tree has disappeared, and we’re shoved into a foreign space that smells nothing like our previous home, we are utterly confused. Update your dog’s identifications such as microchips and dog tags. 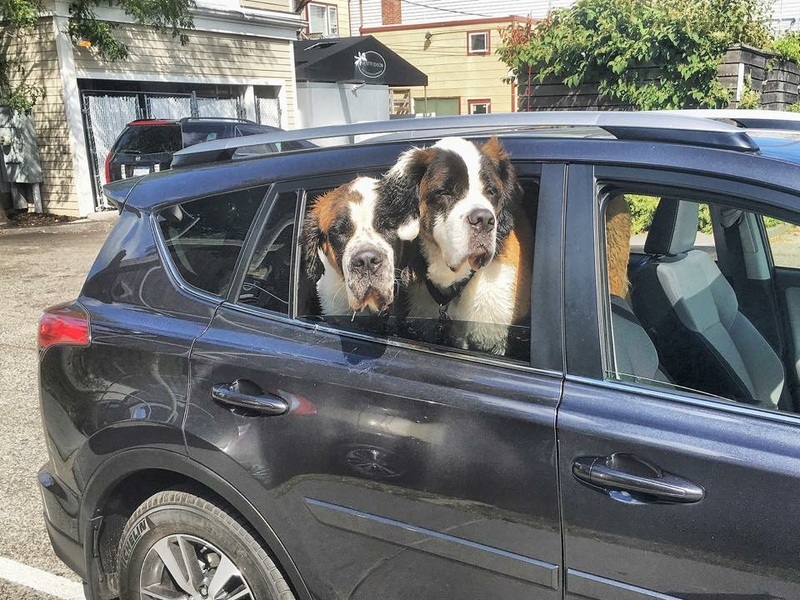 New York State law mandates that all dog owners license their dogs. Renew your dog’s license here. Review and update all vaccination records and keep an album of your dog’s medical records on your smartphone. Increase activities such as walking, hiking and playing to take the ants out of your dog’s pants. A tired dog is always a better dog. Reintroduce crate training months before the move to get them re-accustomed to the crate. A crate trained dog is a happier dog because the crate is basically the dog’s “bedroom”. The familiar, cozy environment makes the dog feel safe during transport and assists in transitioning with ease in the new home. Start reinforcing basic obedience months before the move. Be the dog’s leader and help him feel safe. Reinforcing basic obedience will help your dog navigate through the new building, it’s common areas and neighborhood. New elevators, hallways, lobbies, and random passerby dogs in what we define as our territory confuses the heck out of us without leadership. Prepare us in advance by being our leader. Pack your dog’s belongings last. Keep our bed, toys, and even your dirty t-shirts out because we are comforted by familiar scents and objects. Don’t wash the bedding– keep it smelly because we like it that way (at least until we settle)! Have a game plan on moving day. We shouldn’t be involved in the hustle and bustle of moving because we might feel compelled to guard, get in the way by flirting with the movers, or get lost in the confusion. Contact Dog City in advance to set up a temperament test before the moving date. If your dog has passed the temperament test, Dog City can keep your dog busy on your moving day. I’m sure that your dog would prefer to be sniffing dog butts than freaking out around boxes. Unpack your dog’s items first. Crate, bed, toys, blankets and bowls— familiar objects will help us feel secure about our surroundings. If your dog is young or prone to anxiety, use pens, crates and gates to partition the dog away from the entrance. Noises in the hallway will provoke your dog to bark as your dog is already feeling insecure in the new home. Don’t allow your dog to claim the entrance door as their space to guard, or anxiously wait for your return home. Create a safe, confined, den like space to make your dog feel secure. Do not give your dog free reign of the apartment if your dog is not fully potty trained. Nervous territory marking and accidents due to confusion are common within the first few weeks of moving. Lead your dog to the new toilet location frequently and provide profuse praise and high value treats to reinforce potty training. Resume feeding, walking, and potty routines immediately. This is particularly important if you have moved from a different time zone. We don’t wear a watch. We determine time by routine provided, which helps us feel secure again. Provide extra exercise and socialization opportunities for your dog. The sooner your dog makes friends, the sooner he will acclimate to his new environment. We are social creatures. 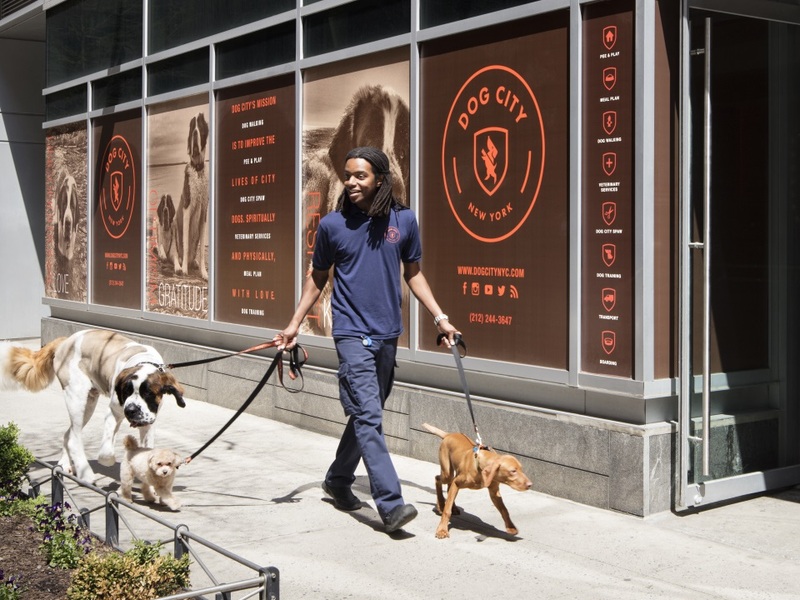 Most importantly, take the time to explore the new building and neighborhood with your dog. We are nomadic in nature, and thrive on being lead to sniffspect our surroundings with our pack leader. May your new home bring you much light, love, and new opportunities for you and your canine family member.